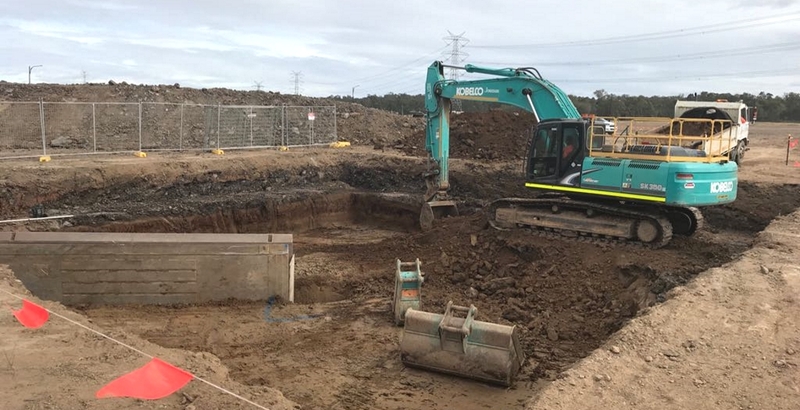 Jonishan were contracted to JK Williams to supply and install interim pumping faclity, rising main, overflow line for extreme weather conditions and storage tanks for emergency condistion at Jordan Springs Central Precinct.Wastewater IOP and Pump Well supply 7 installation included Pump Well DTC 2201 INSITU 1800 collection chamber HDPE lined. 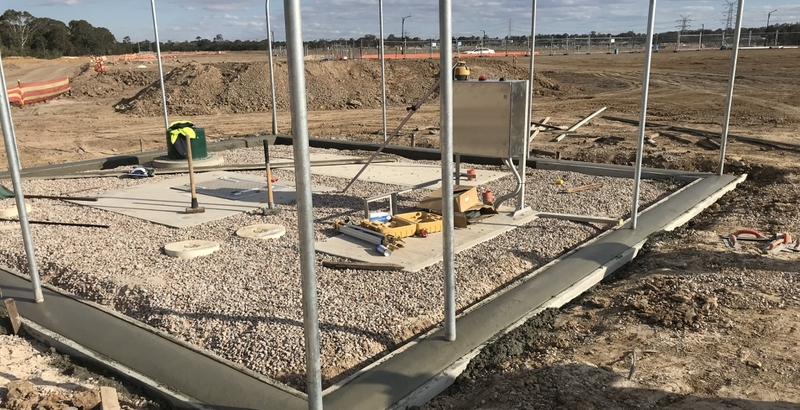 2 x Xylem submersible pumps, dual pump controller, 900 x 900 precast chamber galv open grate lift in lid and associated fittings. Wire to incoming power supply within 15m. 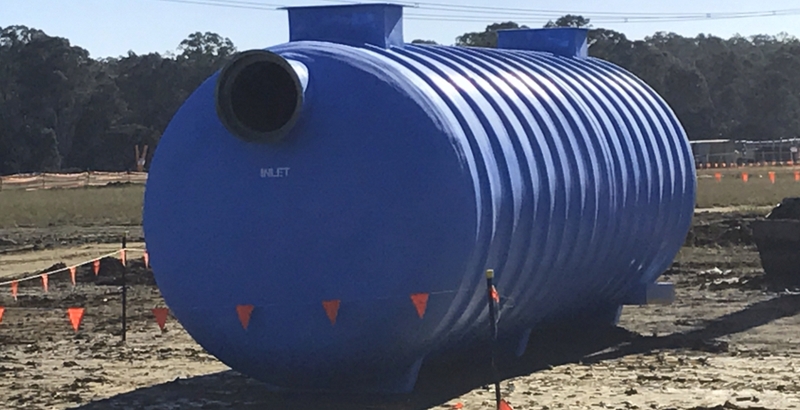 An emergency storage structure and line was installed using an Aquatec AQES30 Xylem inline storage tank, 3000mm dia 11m long, as well as 1050mm precast risers to EST and connected SDN225 line to wet well. 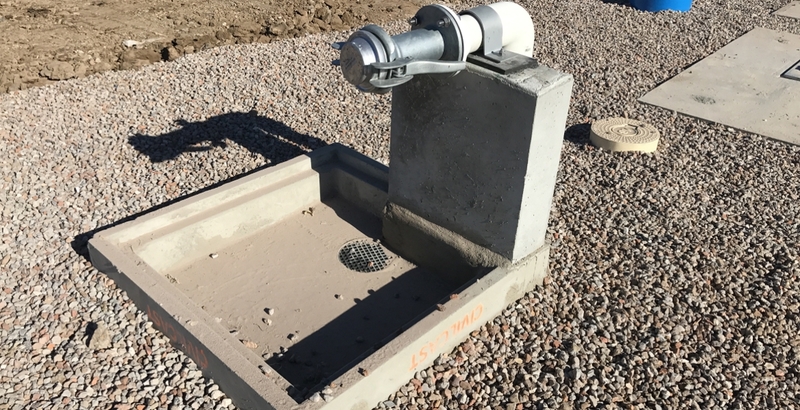 Jonishan installed an IOP feed line gravity sewermain DN225 PVC SN8 L3 and an IOP overflow discharge line DN225 PVC and precast headwall. 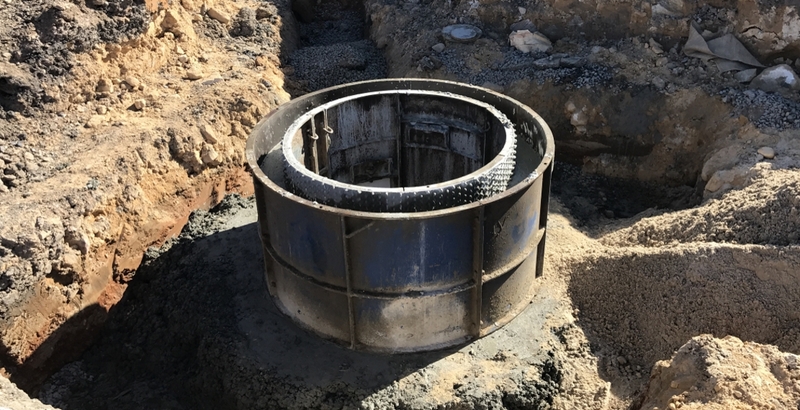 The project involved installation of a 893m rising sewermain using DN200 PE100, and a discharge line DN300, new 1050 lined MH, connected to existing main. Emergency suction pipework and spillage drain 1500L x 1000W x 150D, drained back to wet well with upturn kamlock fitting was installed. Jonishan were also responsible for the IOP security fence including security posts around the perimeter. 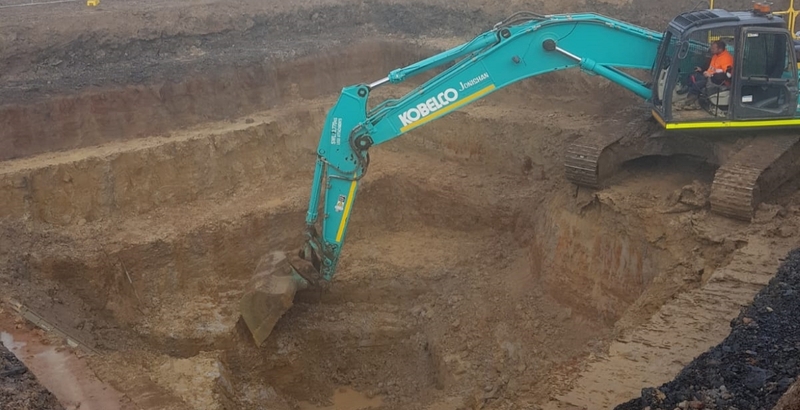 The included 3 rows of barbed wire at 150 centres plus supply & install of 30m of chain wire fencing and concrete surround base as per DTC 5000/5001 specifications.